By definition, a game bird is a bird that is hunted in the wild for sport and/or food. Duck and geese also fit into this definition, although duck and geese are also a lot more available in the supermarket, where grouse, partridge, and snipe are often nowhere to be found. Most, if not all, game birds are enjoyed roasted, grilled, or fried all over the world. 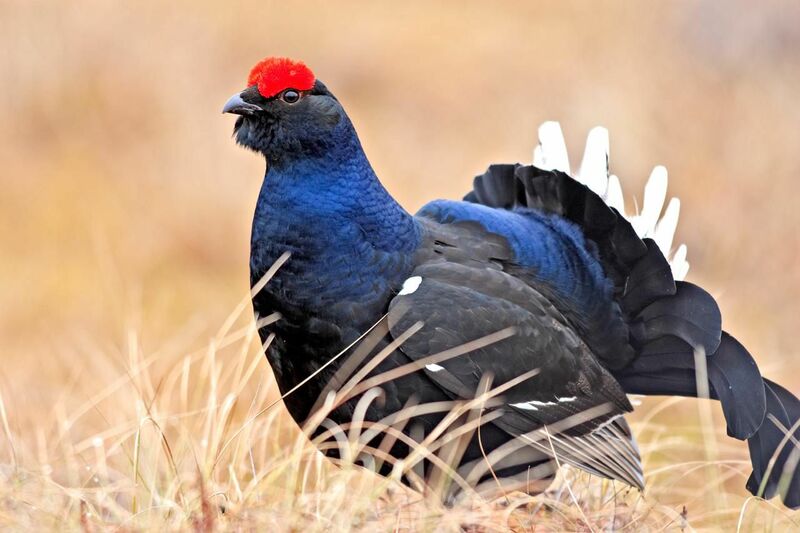 The grouse is often large and sturdily built, weighing up to 14 pounds, with the males almost twice as large as the females. They are feathered to the toes, and in winter, grow feathers and scales to protect their feet from the snow. Grouse is a ground bird, although they will take a brief flight when alarmed. The prairie and forest species have declined because of massive deforestation, but they thrive in habitat management. Grouse has a similar white meat/dark meat proportion to chicken, but it tastes more like pheasant. A partridge is a medium-sized bird in the pheasant family. The most common partridge is the gray partridge with a reddish face and tail and gray breast and striped sides. A large male can measure up to 30 inches and weigh 3/4 pound. Partridges prefer farmlands as habitats, building their nests in high grasses, where they forage on seeds and insects. Partridges are often roasted and have a delicate, sweet flavor with slight game overtones. Pheasants are one of the oldest game birds recorded in history and are populous throughout the world. Male pheasants are especially known for their bright colors and bold plumage; female pheasants are much smaller with dull-colored feathers. The many species of pheasant live in wetlands, farmlands, scrub, and forests. They are short-distance flyers and are usually hunted with a gun dog that retrieves the killed pheasant. There are dozens of varieties of quail, one of the most populous game birds, throughout the world. Quail are commonly hunted but are just as commonly farmed. Farmed quail and quail eggs are available in many markets, butchers, and specialty food stores. Like all game birds, quail need to be cooked quickly and is well suited for grilling or ​roasting with an addition of fat to avoid drying out. Small and plump, quail have a very mild gamey flavor. The snipe is a long-billed marshland dweller, related to the sandpiper and woodcock. The snipe is a challenge to sport-hunters due to its elusive behavior, natural camouflaging and erratic flight pattern and is most often hunted at night. When prepared for cooking, snipe breasts are approximately the same size as a dove breast. Snipe is a dark meat but it is less gamey in taste than duck. Recipes for snipe date hundreds of years, especially in Europe, where snipe is highly regarded and very popular. The Wild Turkey is indigenous to North America and is in the same family as the white turkey. The Wild Turkey males are brightly colored with red, green, purple and copper and weigh between 11 to 24 pounds; females (hens) are much smaller, weighing between 5 and 11 pounds, and their plumage is dull brown and black. Their natural habitat is hardwood or conifer forests and eats plants, nuts, insects, lizards and even snakes. The wild turkey is intelligent and clever, which makes the bird a favorite for the hunter and is considered very challenging to hunt. Although similar in taste to the domesticated turkey, like any game bird, the wild turkey is lean and muscular due to constant activity and its flavor is dependent on what it eats. Woodcock is a stocky, forest-dwelling bird with a long bill. Their black and brown plumage provides camouflaging at night and evening when they eat worms and other invertebrates. The woodcock was once very populous in Europe, Asia, and North America, but the breed has declined due to over-hunting. Conservation efforts in recent years have succeeded, and controlled woodcock hunting is a popular sport. Woodcock meat has more fat on it than other game birds and has a pronounced gamey taste.